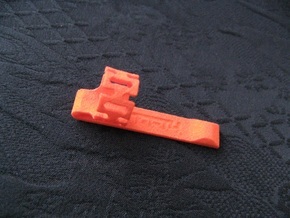 I present my pen refill adapter, for use in pens that take the Pilot Hi-Tec C type gel refill. 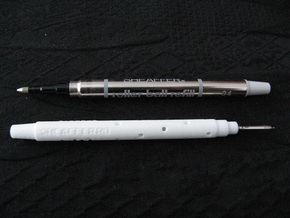 It allows such pens to use the Pilot Hi-Tec-C Coleto gel refills instead (not included). 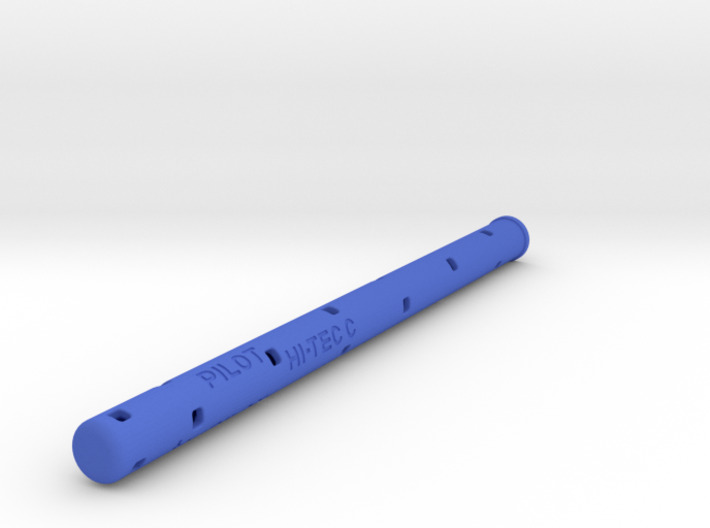 The Pilot Hi-Tec C refill is around 116mm long and 5.4mm in diameter. The Pilot Coleto refill is around 93mm long, 3.1mm in diameter and has the Pilot serial number LHKRF-10CX (where X is either 3, 4 or 5, which represent the tip size). The Uni Signo DX pens, that use the UMR-1 to 10 refills, should also be able to take this adapter. Other refills that have a 3-3.1mm tube diameter should also be suitable for use in this adapter, such as: The Zebra Surari EK, Pentel Sliccies XBGRN and Uni Signo UMR-109. However, these refills are usually longer at 98-99mm long, so some trimming of the plastic tube with a craft knife would be required, to make them the same length as the Pilot Coleto.